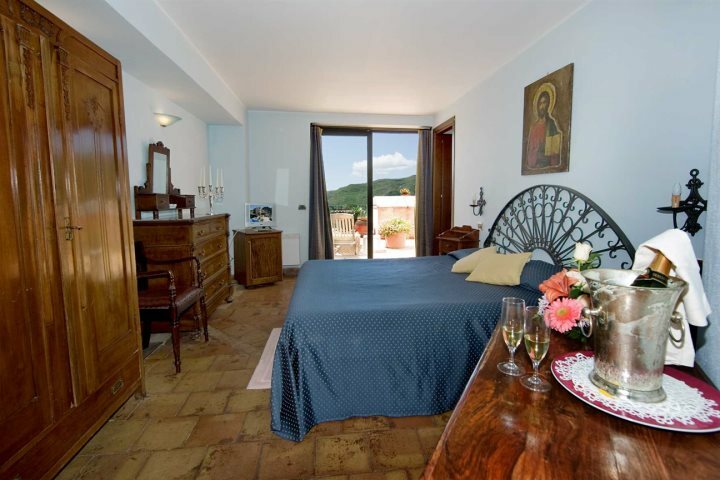 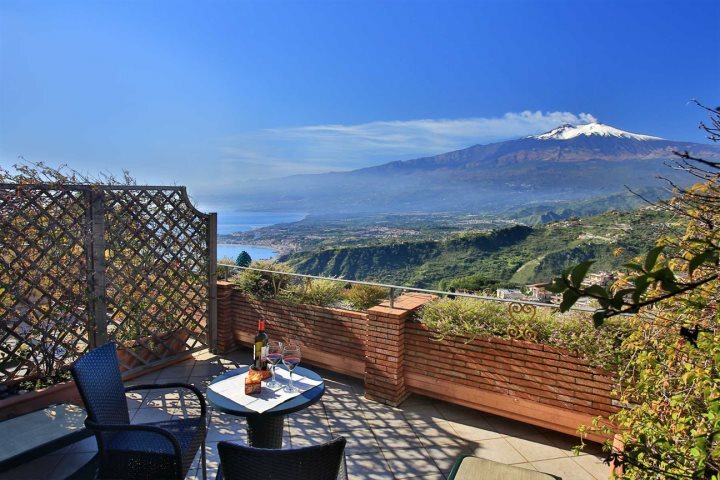 Across the island of Sicily we're proud to offer a range of hand-picked hotels, villas and apartments, all catering to a range of different types of holidaymaker, and located in some of Sicily's most popular and rewarding destinations. 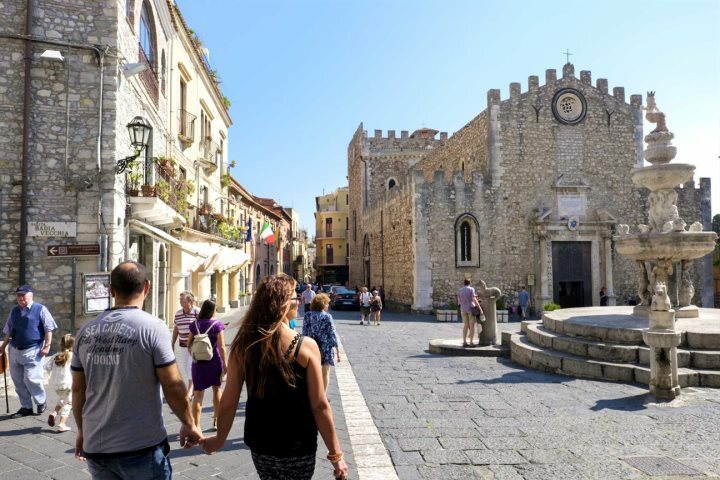 When it comes to deciding where to stay in Sicily, you'll be pushed to find a more rewarding and beautiful base than the charming and engaging town of Taormina. 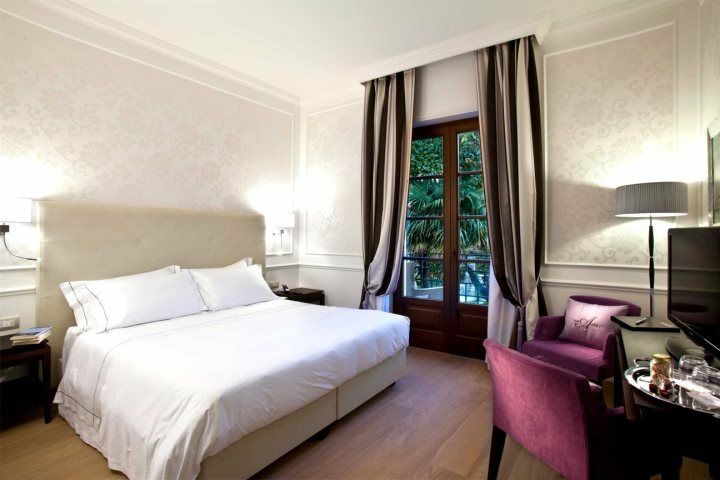 A wonderful part of Sicily, boasting everything from historical attractions to natural beauty, you're sure to be captivated by a stay here. 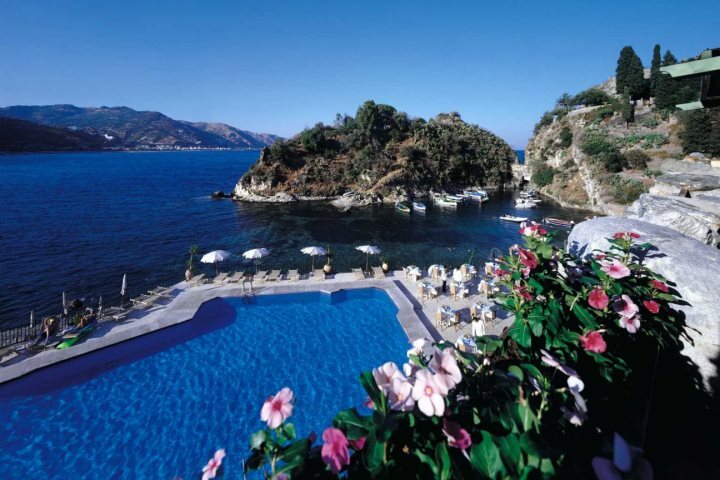 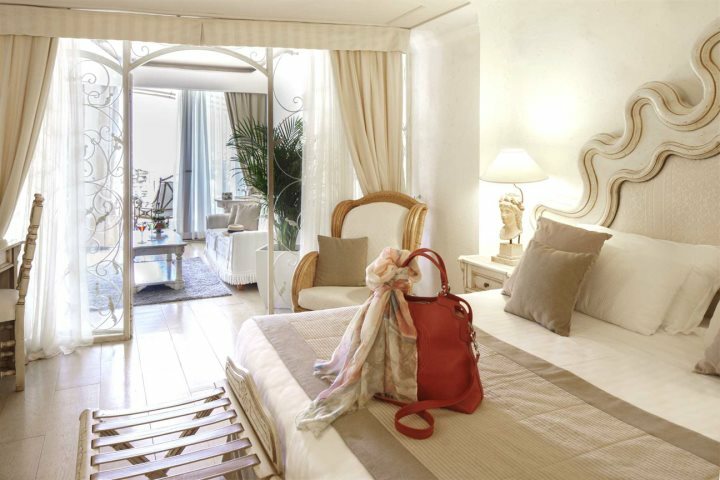 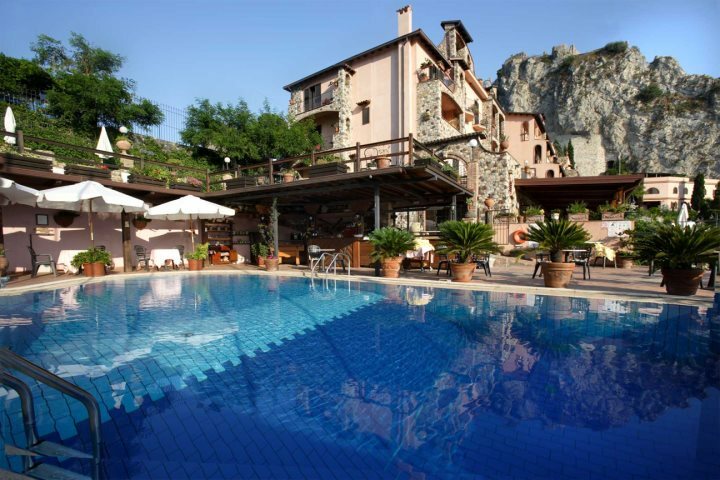 What is the best hotel in Taormina? 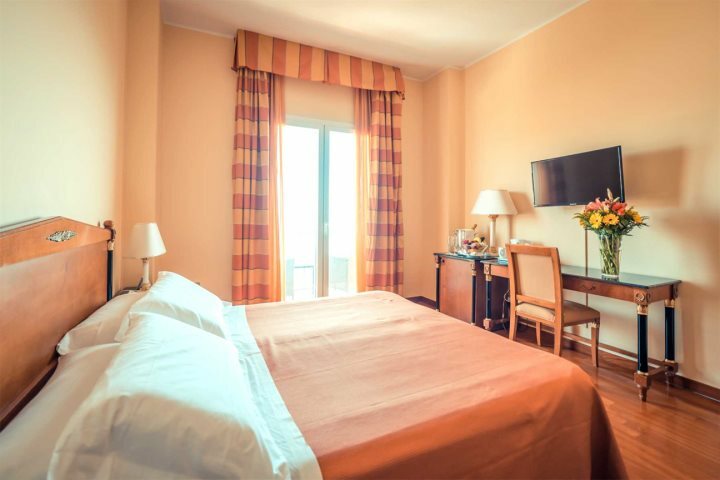 While it's difficult to pick one in particular, we think the list of hotels below are a great example of the diversity and quality of hotel accommodation in and around this captivating town. 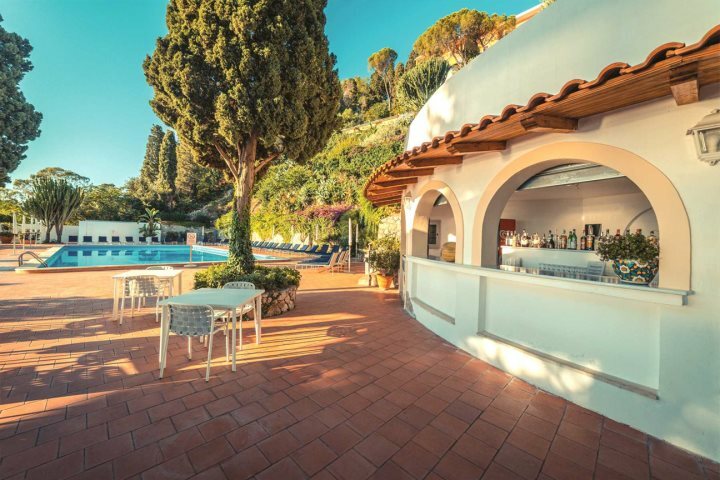 A stunning hotel set in a restored boutique mansion presented in English colonial style, The Ashbee is a luxurious hotel enjoying stunning coastal views, close to Taormina. 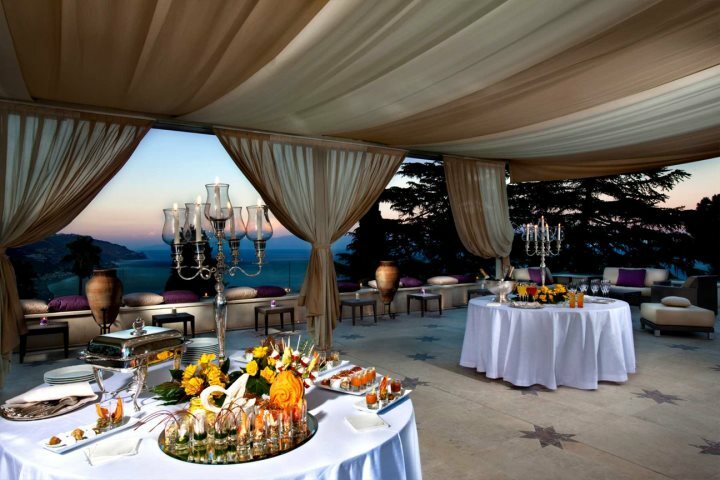 A new addition to our collection in 2019, Grand Hotel Miramare is a lovely 4-star hotel set in a grand old villa, surrounded by beautiful gardens and enjoying breathtaking coastal views. 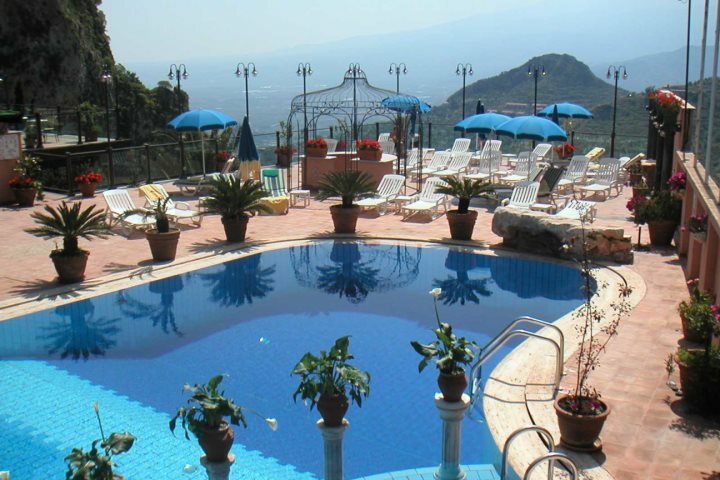 An authentic 4-star hotel promising the best in relaxation and indulgence, Hotel Villa Sonia is set just above the town of Taormina in the hilltop commune of Castelmola, affording wonderful vistas from its panoramic restaurant. 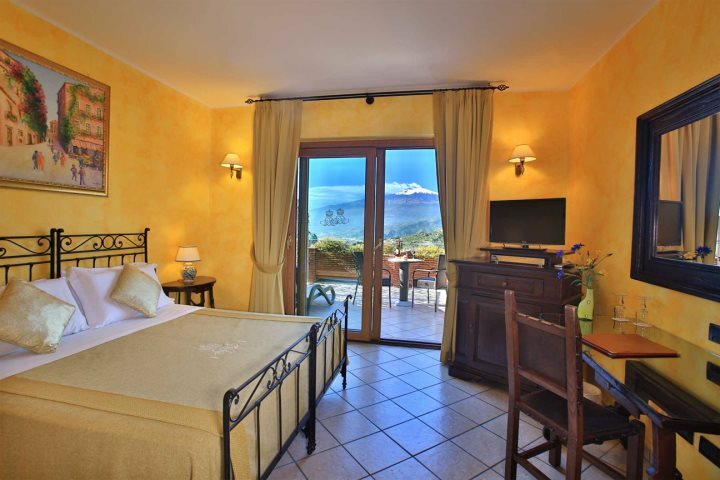 Owned by Jim Kerr of Simple Minds, Villa Angela is a small and charming boutique hotel located on a hillside just above Taormina and boasting a superb vantage point for absorbing views of Mount Etna in the distance. 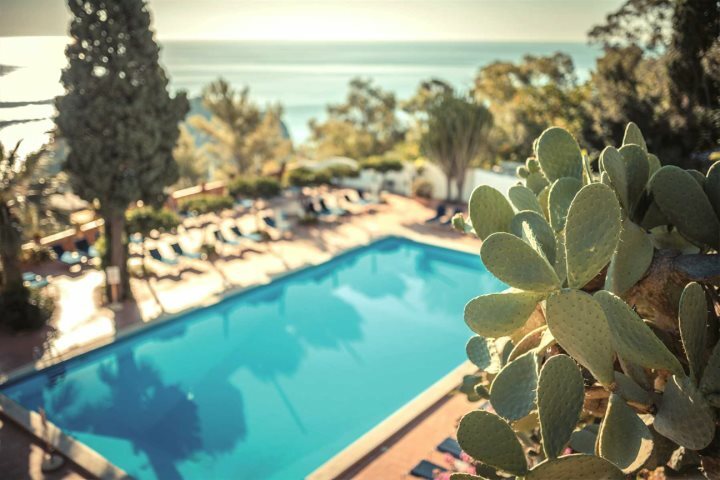 Modern and luxurious, this remarkable 5-star hotel boasts may strings to its bow, including a stunning bay location and a highly acclaimed al fresco restaurant that's ready to serve up the delicious flavours of Sicily. 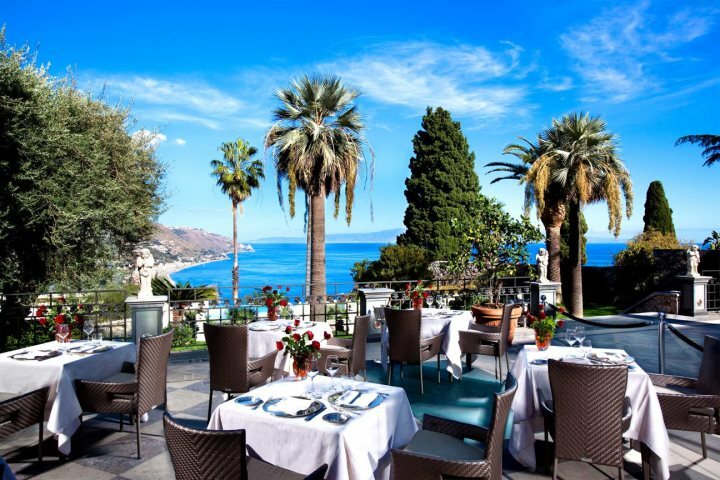 Boasting its very own private section of beach amid Taormina Mare, the 5-star Grand Hotel Mazzarò Sea Palace offers everything from panoramic coastal views to elegant decor and furnishings. 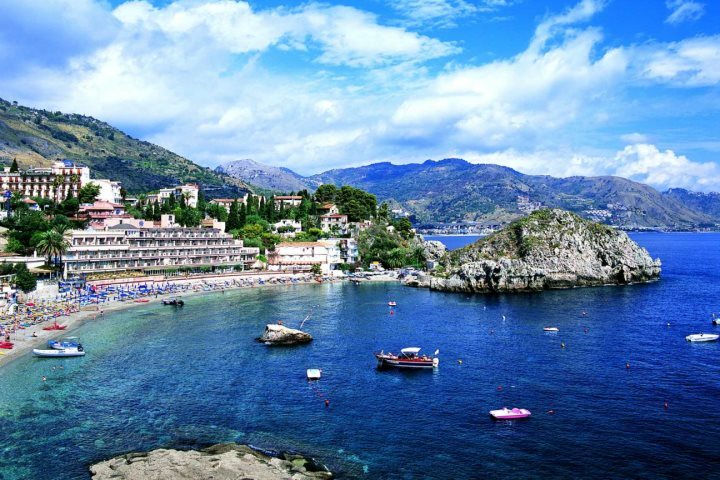 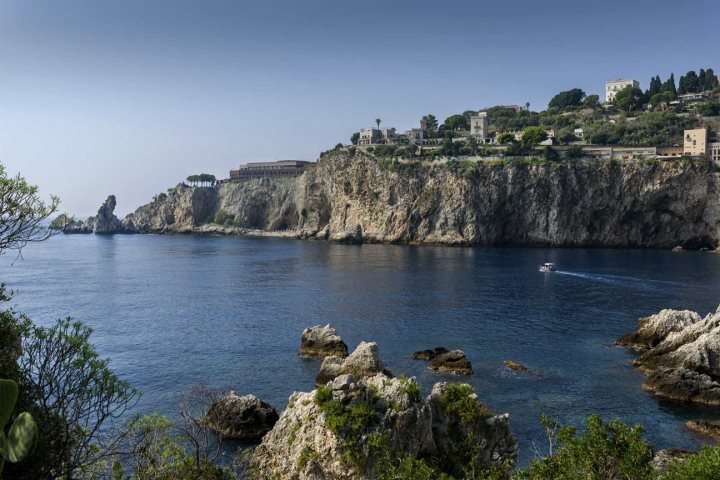 Find out more about Taormina via our dedicated blog category.